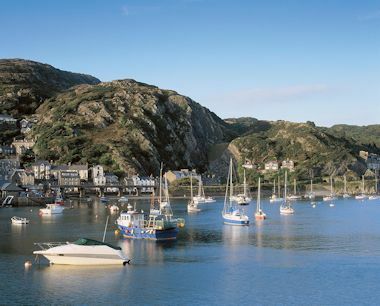 Barmouth's location on the west coast of North Wales and lying between a mountain range and the sea on the mouth of the river Mawddach is arguably one of the most beautiful locations in Wales. It rests just within the south west corner of Snowdonia National Park and is steeped in a history rich with connections to the shipping and slate industries. The old town is well worth a visit with its steep steps and slate-roofed cottages on the side of a mountain. 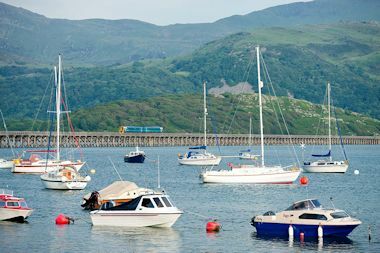 The harbour is beautiful and you can walk across the spectacular Barmouth Bridge spanning the river which can be an ideal activity for an evening stroll. 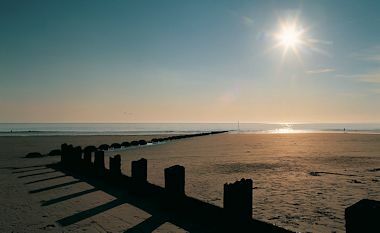 The beach is large and perfect for sunbathing and games and surfers can often be seen depending on the swells and time of year. Kids love the beach yet its size means those wanting to get away and relax in peace and quiet can do so easily. 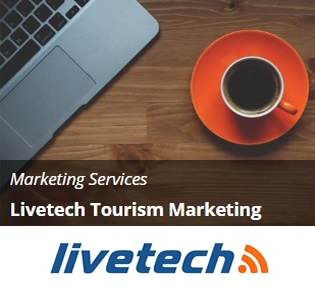 It also has a large range of shops, pubs, hotels and other accommodation, a funfair from March to October and amusement arcades. There are also a number of Caravan parks in the area. Barmouth is the starting point for the Barmouth to Fort William Three Peaks Race and involves sailing from Wales, via England, to Scotland (389 miles) then climbing the three highest mountains in the UK - Snowdon, Scafell Pike and Ben Nevis : a total of 11,000 ft of climbing and 72 miles running. Hard work or what! Barmouth is also the home of the Fairbourne & Barmouth Railway track which was originally laid in 1895, by Mr. Arthur McDougall of 'McDougalls's Flour' fame. It was built to transport building materials for the construction of Fairbourne village. Since then his horse-drawn trams have been replaced by steam engines and in 1985 the 15" gauge track was converted to 12½". The line is 2 miles long and runs between Fairbourne Station and Penrhyn Point, site of the Pullman Pavilion Restaurant, where passengers can embark on the Ferry to Barmouth. 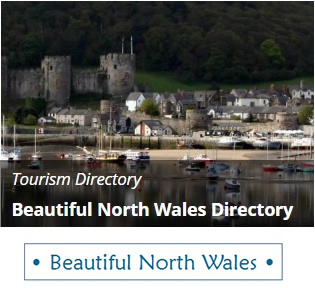 The Mawddach estuary is an area of immense beauty and offers visitors a range of walks to suit the determined and the casual stroller. It is a haven for bird spotters and those wishing to get away from it all. It also offers great picture taking opportunities, especially at sundown.